I specialize in content marketing writing for mid-sized businesses, focusing on the health and technology niches. With two decades of experience as a wordsmith, I know how to package your message to get the results you need. My passion is storytelling—showcasing your success and engaging clients through articles, case studies, e-books, and more. 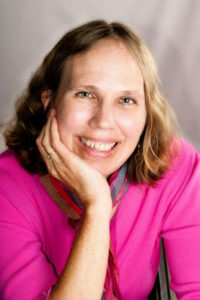 I have a master’s degree in English and worked as an editor and proofreader for several U.S. publishers, including Harcourt, Hoover’s, and Weissmann Travel Reports. When you hire me, you not only get well-crafted writing, you can also rest assured all the commas are in the right places. My unusual last name is Hungarian. I pronounce it to rhyme with Paris. Originally from Colorado, I’m now based in the Oklahoma City area. I’ve served clients across town and across the globe. Check out what my clients are saying or view my portfolio to learn more about how I can help you with your writing needs.